I love finding activities that inspire both sides of my brain. I’m the daughter of a painter and an engineer and although I became an engineer, the other side of my brain always calls out to me too. So for a little bilateral brain food for you and the kiddos, here are 10+ Ways to Learn Math by Painting. It’s not that I’m anti-worksheet. It’s just that I think that adding another aspect to math can make it more fun! 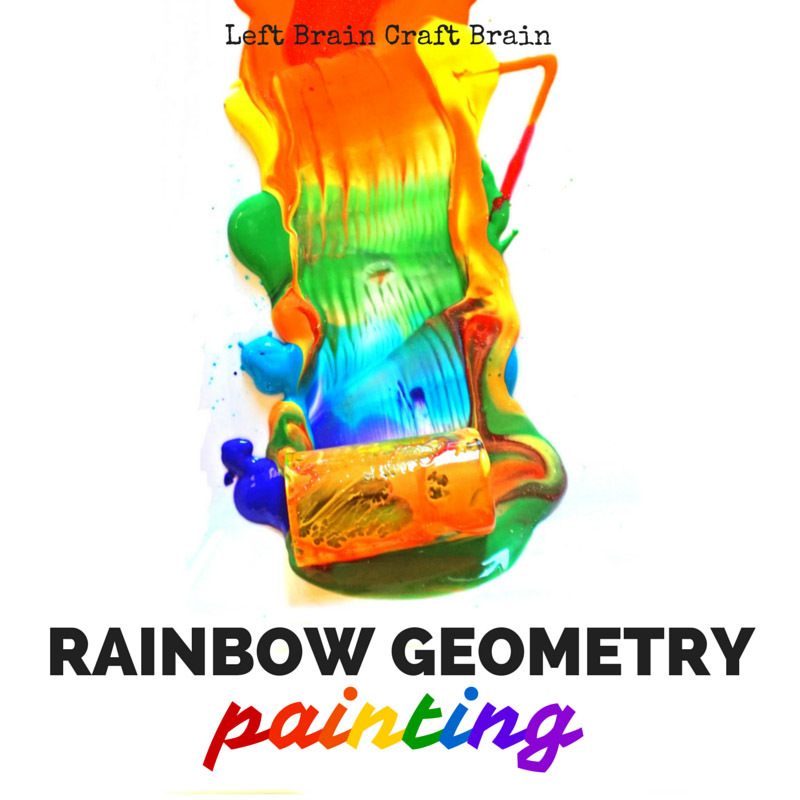 Like geometry, for instance… We added some rainbow paint to our favorite 3D Geometric Shapes and explored color and mark making in this Rainbow Geometry Painting project. 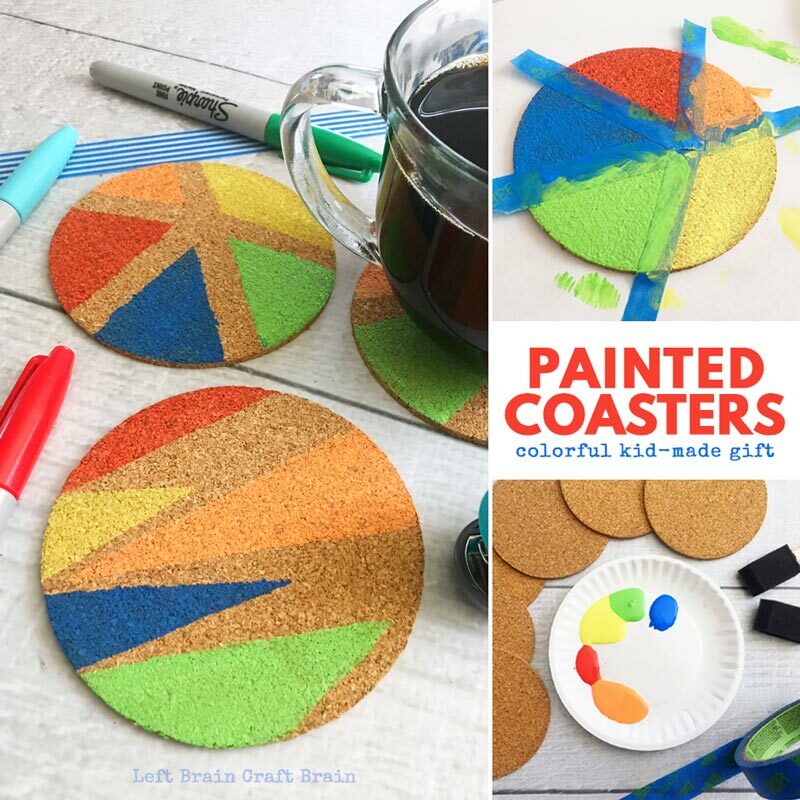 We also like to hide math in our homemade gifts :) Check out these gorgeous Painted Coasters that kids can personalize with their own patterns and shapes. They’re perfect for Mother’s Day and Father’s Day! 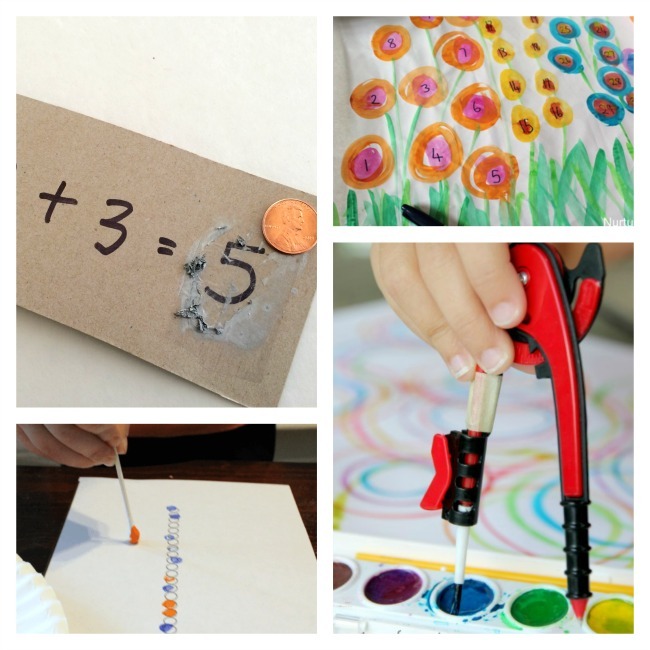 Paint some Scratch Off Math Cards from Left Brain Craft Brain. Paint and play some Flower Number Line Games from Nurture Store. Learn about circle diameters by doing some Compass Painting from Housing a Forest. Paint a π skyline. What Do We Do All Day shows you how to map it out. Teach math and art history at the same time with Klee Polygon Detective from E is For Explore (on We Are Teachers). Do some Dice Stamping Arithmetic from Housing a Forest. Painting by numbers is a tried and true way to practice numbers with painting. 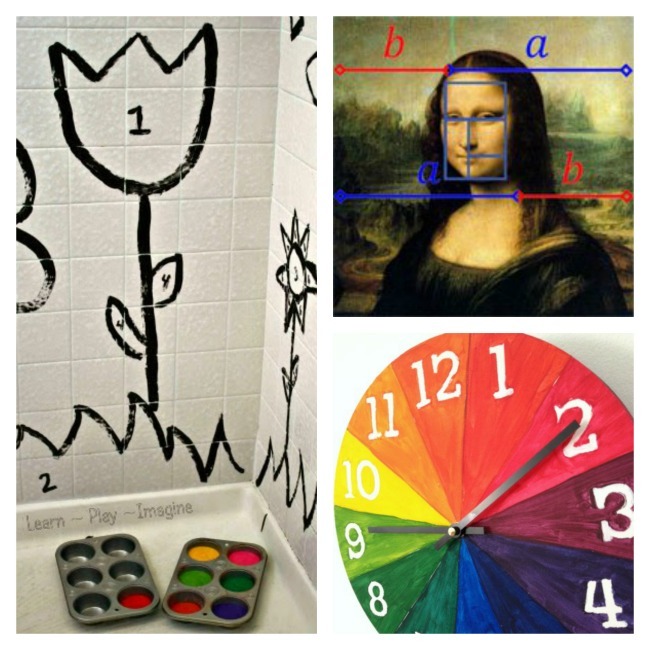 Check out Learn Play Imagine’s unique take on it by Painting by Number in the Shower. Teach kids some circle math and make this beautiful Color Wheel Clock from Tiny Rotten Peanuts. And just for fun, here’s one more math link for you. 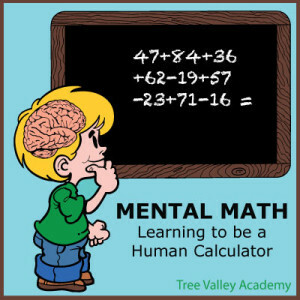 It’s Mental Math: Learning to Be a Human Calculator. Tree Valley Academy shared this amazing resource last week at the Love to Learn Linky. Learn how to use both the left side and the right side of the brain for faster computing in your head. STEAM Makes Learning More Fun! 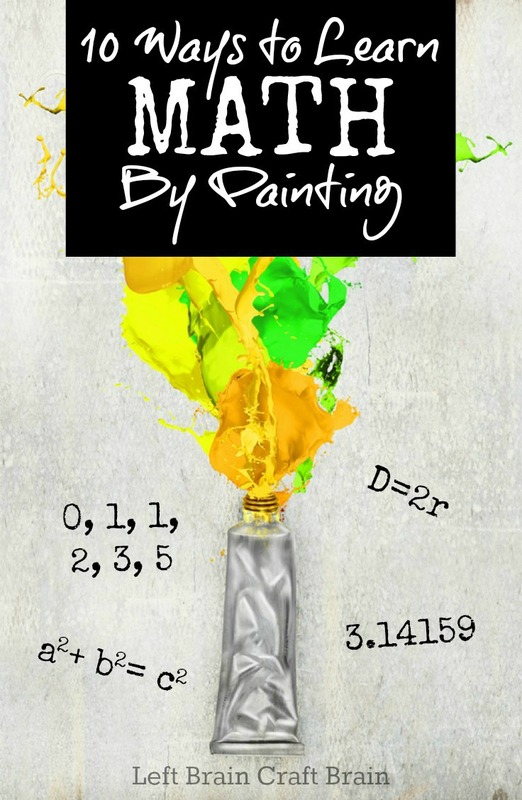 Combining art and math is a classic way to integrate STEAM (science, technology, engineering, art, and math) into learning. To get even more integrated learning (and fun!) 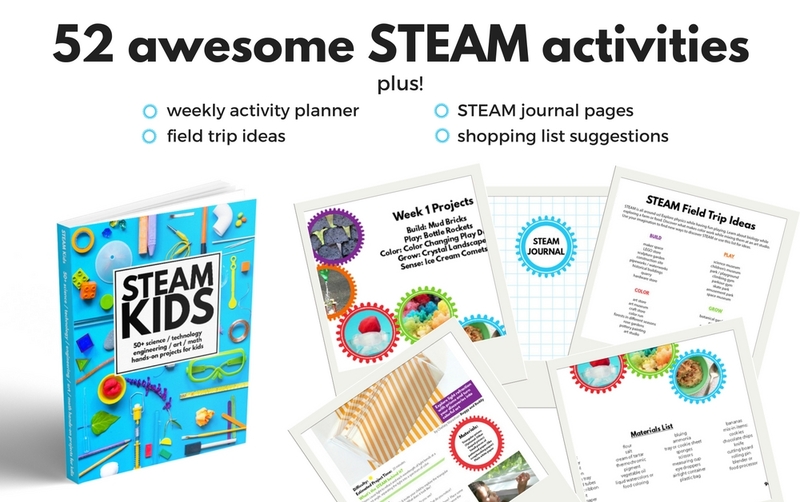 ideas, try STEAM Kids, a book packed with 52 weeks of hands-on activities that will wow the boredom right out of kids! LOVE this post! So many creative and inspiring ideas! Thanks for including our pi skyline. 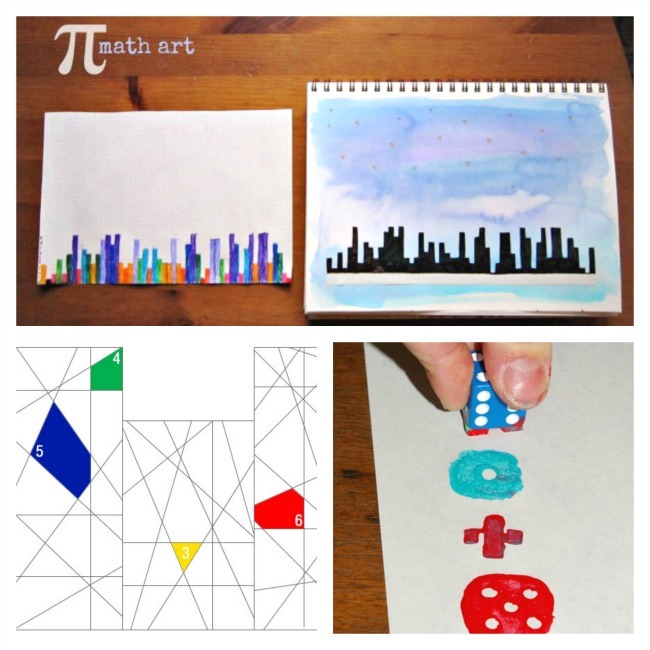 We simply adore all kinds of math art! I love that pi skyline!! I loved gridding things out as a kid. 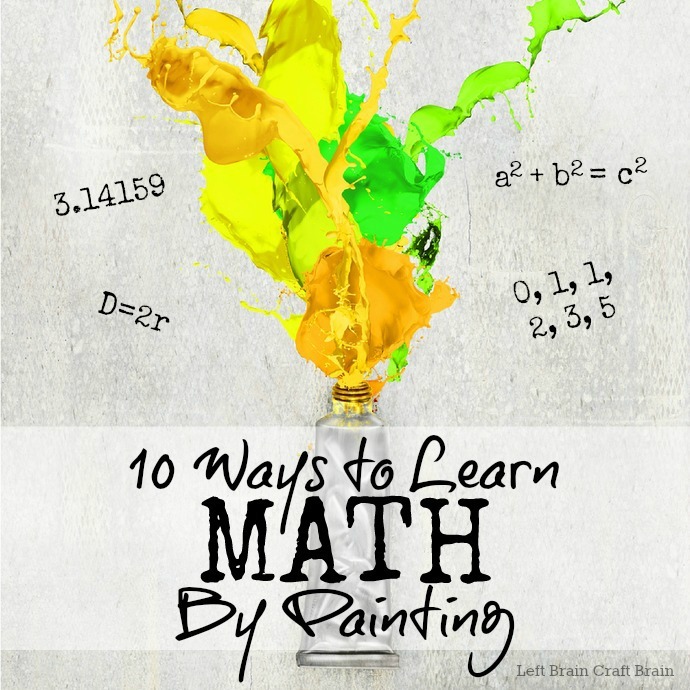 The 10 Ways to Learn Math by Painting is awesome! So many great ideas! Thanks for highlighting some ways math can be fun!